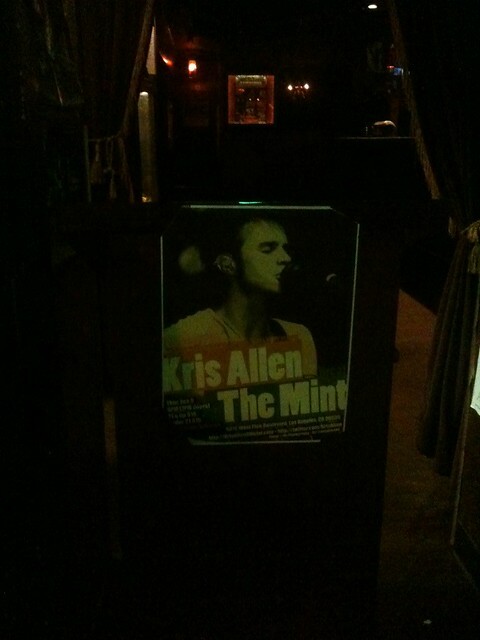 Look what Kris did after hearing about the postcards! And thank you, @kradamantium! 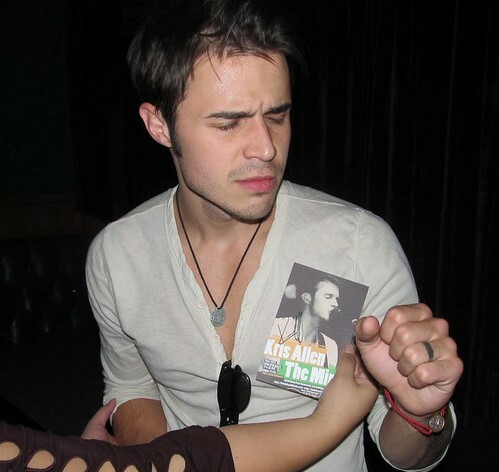 Not only did you give us one of the hottest Kris Allen videos of all time, you also told Kris about the postcards and took this adorable picture of him–um, trying to re-enact the pose on the postcard…lol…I love it! 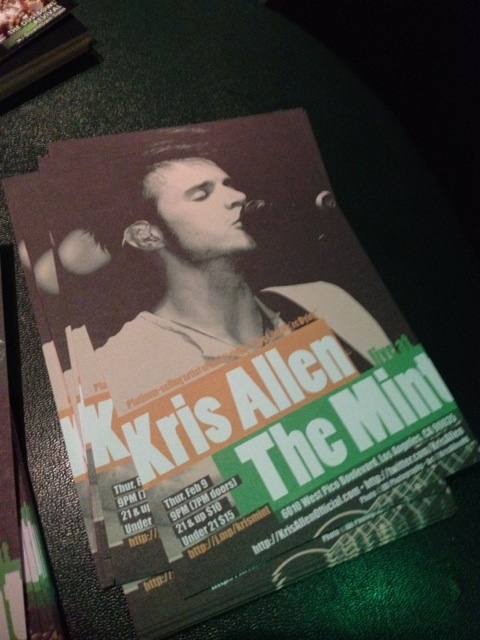 Look for these Kris Allen postcards at The Mint LA! Because I’m really excited about Kris’ new show and his new music, and I really wish his management would do more to promote him, I’m paying out of my own pocket to have 250 Kris Allen postcards printed and shipped to The Mint, which should be available starting from Tuesday or Wednesday. (I’ll update this post once the postcards have been shipped.) 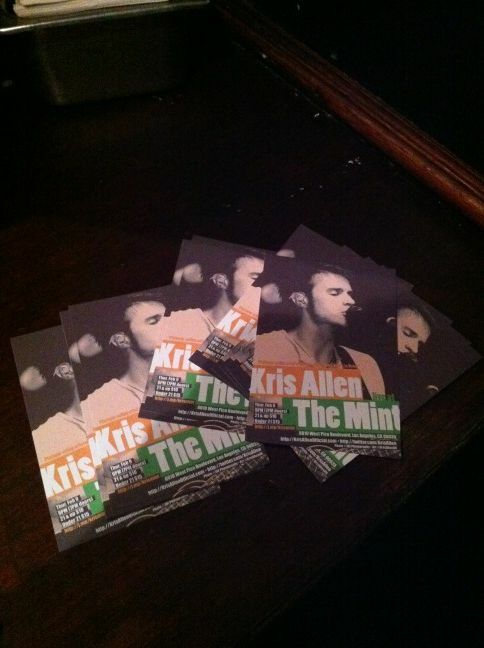 and you can see the postcards in action in the photos embedded below! Since it’s the first time I work with this particular printing company in LA, the colors could be a bit off from the original design, and I had to change the layout a bit to fit everything into a 6″ x 4″ postcard, but I hope they won’t look too bad. Why postcards, you ask? 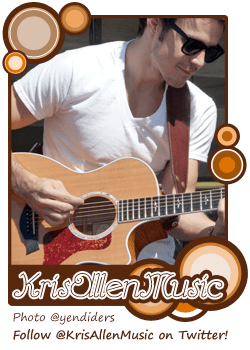 Well, they’re small and easy to carry around; people who already know Kris can get him to autograph on them at the show; people who don’t know who he is can grab a card and look him up later although not much is updated or available at his official web site. 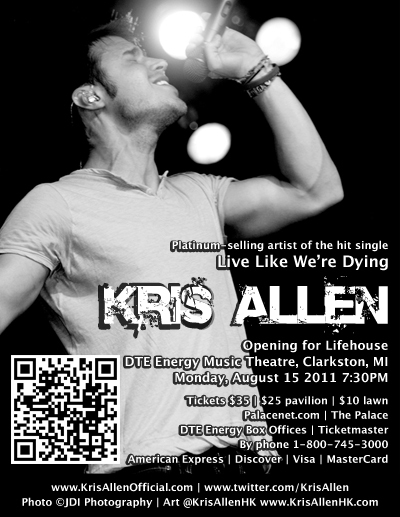 So, grab a few of them if you’re going to the show; ask your friends to mail you a couple if you can’t make it…do whatever you want. 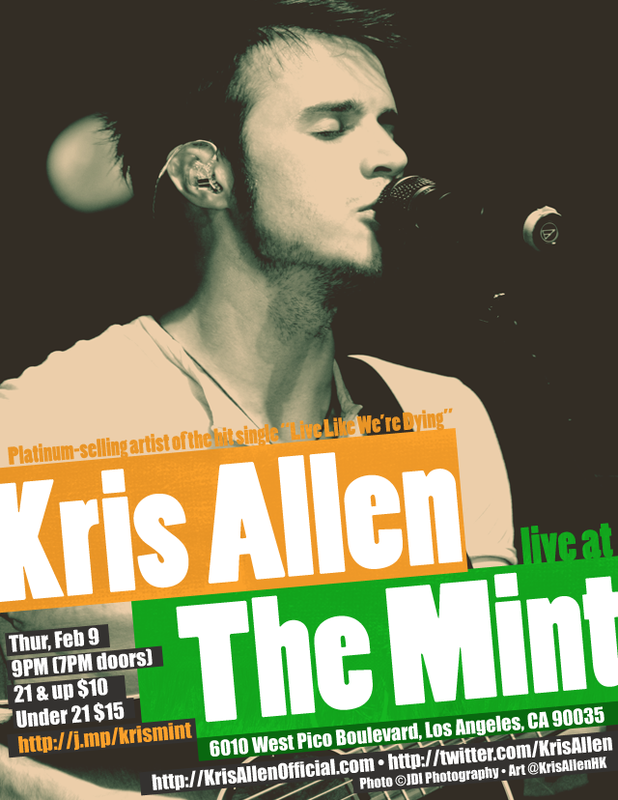 The Mint might throw the rest away so take as many as you want before the night is over! 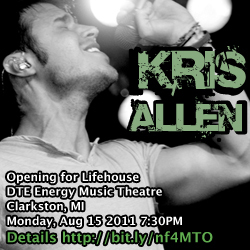 @KrisAllenHK they are! And they are all over! 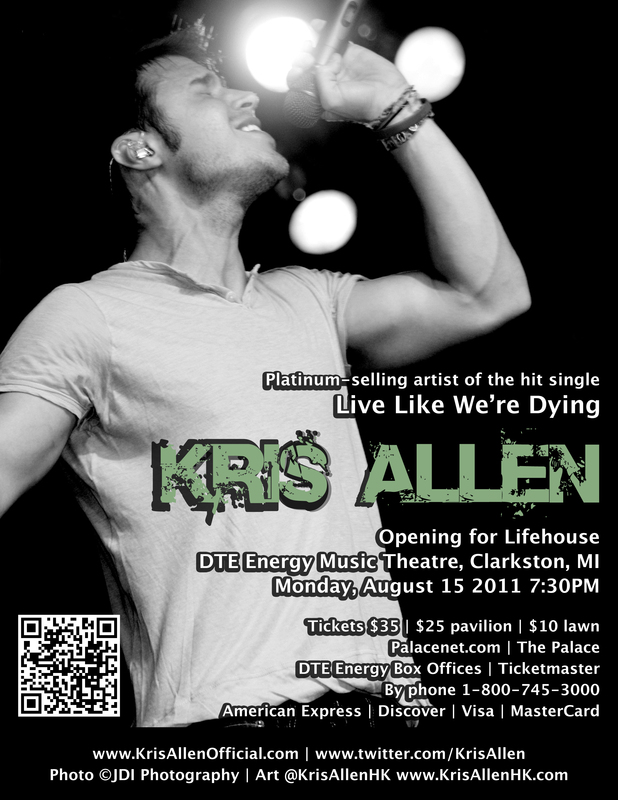 Grab this poster and spread the word far and wide!!! Layout varies from size to size, please make sure you choose the size that is most suitable for your need. The 8″ x 11″ version is good enough for professional printing as well as home printers. If you need the promo materials in other sizes, leave a comment here or tweet me. Got a little surprise for you…. You guys wanna hear some new music? Sorry for those who don't live in LA but I'll have some news for everyone soon. Can't wait.